The Plymouth YMCA's Exercise on Referral (EOR) Scheme provides individualised exercise programmes in a supervised environment for those patients affected by clinical conditions. Members of the EOR scheme range in age, ability and fitness levels. Patients referred to us by their GP include those suffering from anxiety, hypertension, diabetes, obesity, back pain, angina, depression, osteoporosis, cancer, arthritis and other conditions. EOR sessions are conducted in a friendly, client centered gym, where our aim is to provide advice and instruction on exercises and activities that will help you in everyday life and assist you in achieving your personal fitness goals. Our team of EOR qualified instructors are available to provide individualised programmes, fitness assessments, personal training and advice on healthy eating, sports conditioning and active living. Since its conception over 13 years ago, surgeries have referred more than 2500 patients onto the EOR scheme. Many patients taken the initiative and ask their GP to refer them. Please book sessions in advance. A Medical Professionals clearance may be required depedant on current medical requirements. Fusion Leisure are running an “Introduction to Fitness” program. Referrals to this can be via a Health Professional, Community Group or self-referral; any one presenting with co-morbidities may be asked to seek medical clearance. This program is a 6 week program priced at £30. The 6 weeks include an introductory session and 5 sessions of varying activities, with a cup of tea/coffee each week. The aim of this program is to break down the barriers to participation by offering a welcoming environment, working within a small group, working at an introductory level of both fitness and information/knowledge. Fusion Leisure continue to run their longstanding Exercise on Referral program for patients with co-morbidities, recent/reoccurring injuries/long-term health conditions etc. This program consists of subsidised activity for 16 sessions; there is a cost to the patient of a maximum of £3.20 per session (paid in one payment of £50). Sessions include gym, activity classes (including seated exercise, dance and aquafit and Hydrotherapy sessions). Patients receive an initial appointment with our referral officer to discuss their needs, goals and suitable activity options. Sessions are then either 1:1, group or independent; depending on the individual’s needs. Referrals can be made by GP’s, Practice Nurses, Physiotherapists. Anyone who has received an Exercise on Referral form who may be suitable for the “Introduction to Fitness” course will be offered this option. Exercise Referral Schemes are specially designed for healthcare professionals to recommend their patients to an exercise programme in order to support their health and wellbeing and quality of life. 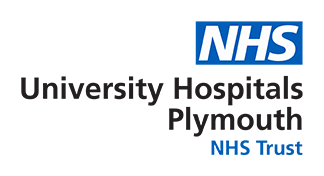 The services are provided by a number of leisure centres in Devon and operate through qualified instructors who design and work through a personalised programme of exercise with the patient. A programme will normally include an initial one-to-one consultation, followed by a 12 - 16 week programme. The services are paid for by the patient, although many leisure providers offer the services as part of a membership scheme or offer concessionary rates. To be referred on to these services speak to your GP, Nurse, Physiotherapist or Healthcare Assistant. For more details on Exercise Referral Schemes in Devon click on the link.